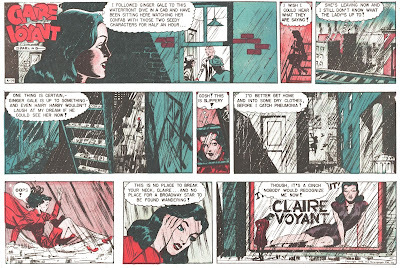 Here are the last of my run of Jack Sparling's Claire Voyant Sundays. Clearly he was not able to maintain the graphic excellence of the first years. To me Sparling is a clear example of how the common wisdom that 'every comic book artist wanted a newspaper strip' isn't true. Ever comic book artist wanted a successful newspaper strip, which made enough money to hire an assistant to do all the hard work. Sparling returned to comics and worked there for 15 happy years, only once more stepping out to do another newspaper strip. Okay, let's change that to occsionally (see the comments section). 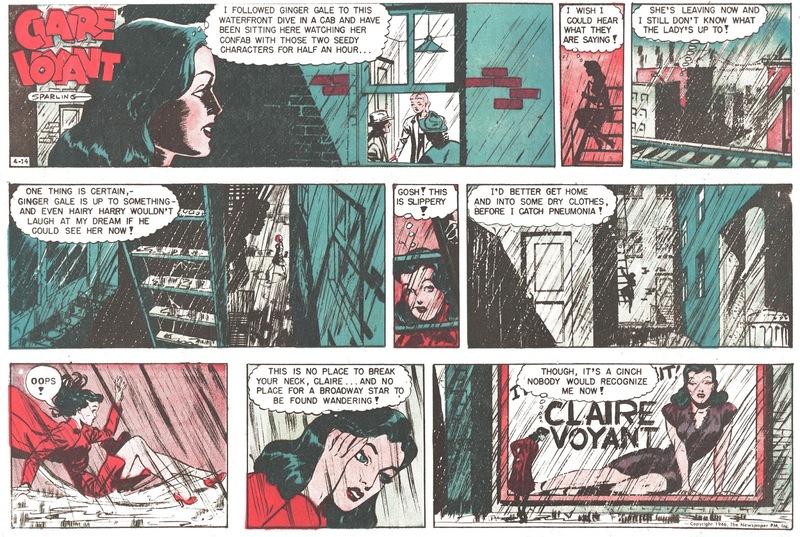 only once more stepping out to do another newspaper strip." Would that be his Honor Eden? or his Sam Hill? or maybe his Mr. Rumbles? his 1980s Buck Rogers? 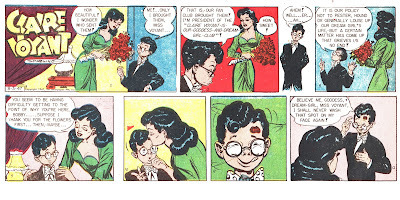 You are right, I did not count Honor Eden and Sam Hill as proper strips, just because they have always eluded me. I did not know he did Kuck Rogers, but then again - who didn't? It was a shakey statement at best, because even I had to admit he did return to Mr. Rumbles. We don't know how he felt, although I am pretty sure he felt knackered at the end of Claire Voyant. We can safely say Jack Sparling didn't always get the best writers - or projects.